It was such an honour to help organize a Canada wide Remembrance Day tribute to the Mackenzie - Papineau Battalion (MacPaps) - volunteers who were part of the International Brigades. More than 25 volunteers from coast to coast helped pay tribute by laying a white rose at over 60 known graves. Ray Hoff ( pictured with me) started this initiative in Canada in 2017 after doing it for many years in the US. He has done extensive research to map the over 260 known MacPap graves across the country. More information about the MacPaps and the tribute is in this this Global news article. We hope to build in the success of the tribute in 2019. In December, the Vancouver Island Catholic News published an article about my documentary. 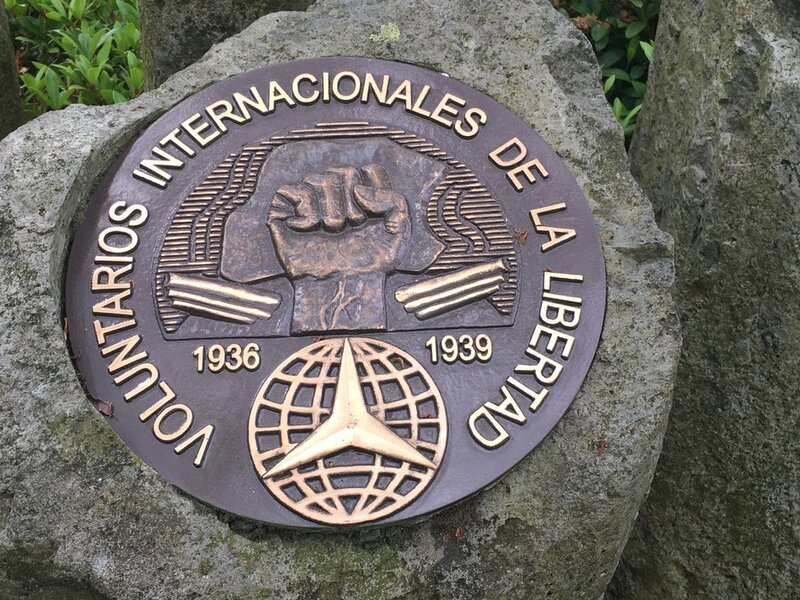 Articles such as this one will bring awareness to the International Brigades and help me find relatives of British Columbia volunteers that I hope to interview this spring and summer. On February 15, 2019, I visited the memorial in Tarancón, Spain to the Scottish volunteers of the International Brigades and the Spanish Republican fighters killed at Jarama. We also toured the town with the La Asociación para la Recuperación de la Memoria Histórica (Recovery of Historic Memory Association). I was also here two years ago and since then much has been done to by the association and its volunteers to recover the memory of the war in Tarancón. This story by CMM Castilla-La Mancha looks at the the events of the day and what the association has been doing to preserve the memory of the Spanish Civil War and its aftermath in Tarancón.